Bitcoin is not backed by any government and can't be physically held in your hands. Bitcoin has received a lot of attention over the past few weeks in the wake of the recent malware attacks that impacted dozens of countries and thousands of businesses. Victims were required to pay a "ransom" in the digital currency to unlock files that were encrypted by the virus. The question for many business owners is that, given its growing acceptance, is it ready for prime time? Should we accept bitcoin? There's no question that it's been a good investment, particularly if you bought at the right time. According to a report from CNBC, the price of a single bitcoin has recently soared to $2,200 from just $0.003 seven years ago. We know this because on Monday its fans celebrated the anniversary of Bitcoin Pizza Day, when Laszlo Hanyecz, a programmer, spent 10,000 bitcoin for two Papa John's pizzas. Times have definitely changed. So what's driving the run up in price? CNBC's tech correspondent Arjun Kharpal cites factors such as new legislation in Japan that allows retailers to accept the cryptocurrency (40 percent of all bitcoin trade is in Japan), the resolution of a dispute in the digital community that could've created competing currencies and the general market turmoil brought on by global economic uncertainty. President Donald Trump's stated desire to weaken the dollar and make American goods more attractive overseas may also be contributing. Not only that, but according to a report on CNN.com, a few high-ranking members of his administration, like budget director Mick Mulvaney and vice president Mike Pence's chief economist Mark Calabria, have both supported the cryptocurrency. The currency is not backed by any government and can't be physically held in your hands. It's just out there - in the ether - and protected by blockchain, a digital recordkeeping system that's so secure many banks are considering a move toward adopting it as the backbone of their payment systems. 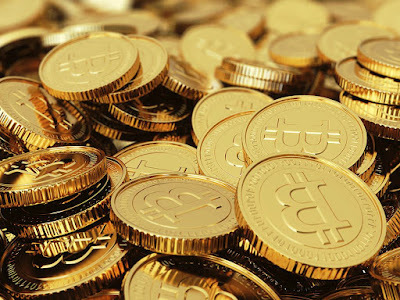 Some small businesses, particularly online retailers, are considering accepting bitcoin as another means of payment. Most investors agree that, although the currency's meteoric rise is very attractive, it's also an extremely volatile and risky investment. Once you start accepting bitcoin in your company you'll have to ask yourself what business you're really in your business or the currency business.